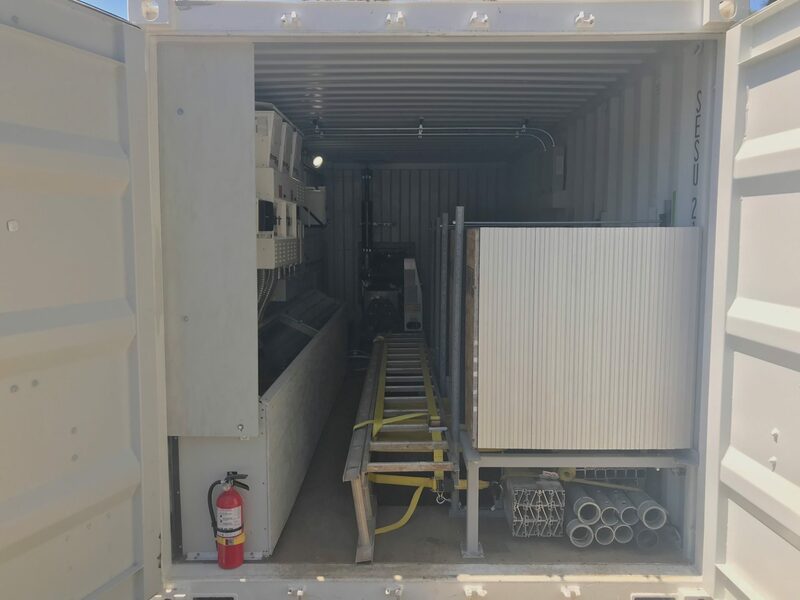 The Solar Battery Generator Container is an standalone battery based solar power station with diesel generator backup that comes with the electrical system prewired. The structural components and solar panels are shipped in the box and only requires a day to assemble. Deploying the battery based system requires only two electrical connections, and does not require a foundation. The diesel generator provides a reliable backup during times of low solar power production. 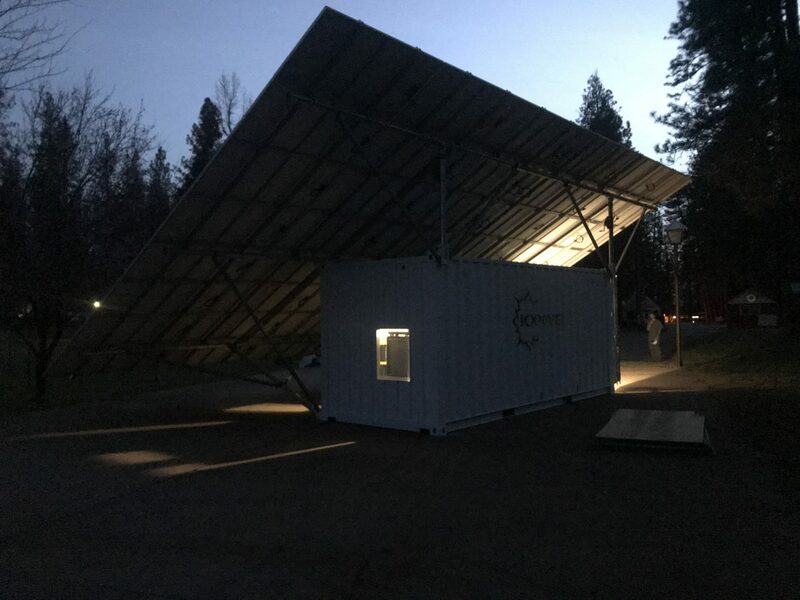 The Solar Battery Generator Container is grid-tied and off-grid compatible.